Most of our software uses licence keys. 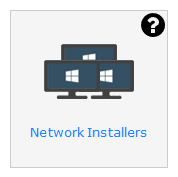 However, if you have purchased a site licence from us then you will want the un-keyed Windows Installer MSI files (or Mac DMG files) for installing on your network. If we email you the links to download the software, simply follow the instructions in the email. Otherwise you log in and use ClaroRead Cloud to obtain your software. You will definitely need ClaroRead. There are other Extra programs that come with ClaroRead: we recommend at a minimum you install ScreenRuler, ClaroCapture, and AudioNote. You may install one or more voices. ClaroRead will work with any voices on the system, so installing our voices is optional. However, our Windows voices are much better than system voices (and speech is the most important function in ClaroRead, so we recommend you install at least one voice. Apple Mac system voices are fine, so you do not need Apple Mac voices from us. The MSI installers and CAB files are wrapped up in zip files with a readme.txt file with further instructions inside. You can also find lots of information on these Help pages in the Network section. Apple Mac DMG files can also be downloaded and installed. ReadIris for Apple Mac does require a licence key, which you will find on the download page. Install Claro Software on your network.